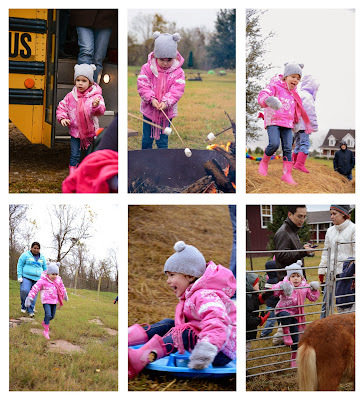 It was Audrey's turn for a field trip to the Christmas Tree Farm this year! Unfortunately, it was a very cold, wet day. Everyone still managed to have fun, but there were a few meltdowns along the way. Audrey did pretty well, but she does not like to be that cold! I was fine aside from having frozen toes...until I got home and realized my new boots were damaged by all of the water. Thank goodness for shoe hospitals! They got to do all kinds of fun stuff! They started by roasting marshmallows. Then they played on bales of hay and did a scavenger hunt. There was some good, old Texas sledding (on dirt and hay), as well as a little animal watching. Next was a hay ride around the tree farm where they learned how to tell how old a tree is. 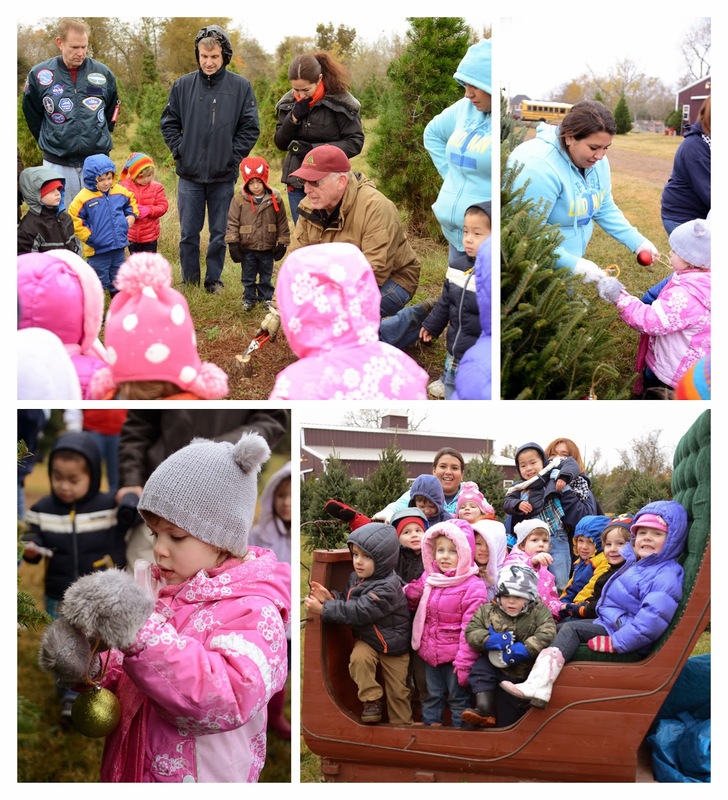 After a cup of hot chocolate to warm up a bit, the kids got to decorate one of the trees outside and dress up scarecrows. Audrey did both very briefly, but she was ready to be inside to warm up. Pizza was next on the agenda before heading back to the daycare. Despite the rain and cold, it was a successful outing!